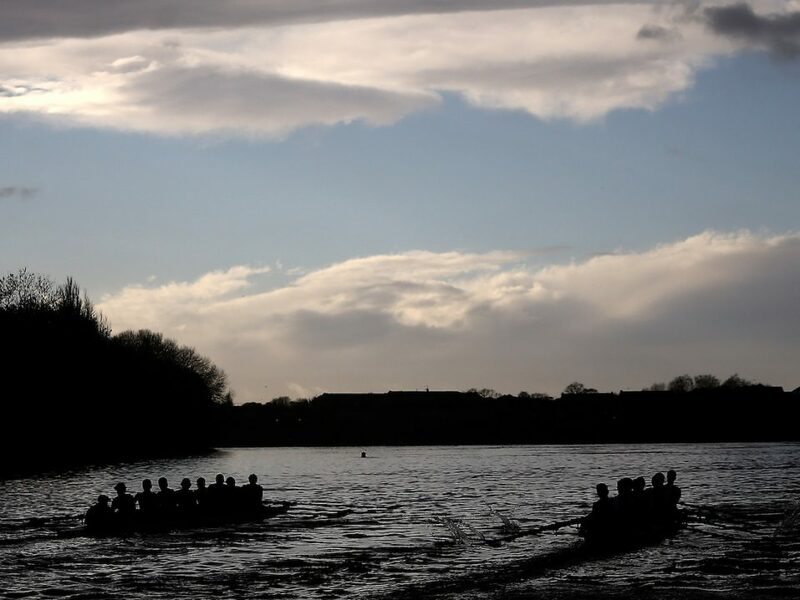 The twenty-fourth Oxford & Cambridge Veterans’ Race at 2:30pm on Saturday 6th April. The crews are selected from full graduates of the respective universities and they must have passed their 35th birthday on the day of the race. The average age of the crew must not be less than 42 yrs, measured on the day of the Race. This year’s race will be from the Boat Race start, the Putney Stone, to Furnivall Steps, being that line where the two bends equal out. A flagman will be stationed to mark the finish line for the Race Umpire, and to judge the winning distance. This is the twenty-fourth Veterans’ Boat Race. For all but one year (2008) the qualifying average age has been age 42 on the day of the Race. In clarification of the eligibility rules, the crews have agreed to count months/days towards the average crew age for this year. Of note, 11 of the 16 oarsmen are younger than James Cracknell racing in the main Boat Race this year. After the drama of close races over the last three years including a disqualification, Cambridge cox Ed Bosson and former CUBC President David Nelson are hoping not to witness the theatricals of the swimmer incident of their 2012 Boat Race! As Challengers they are joined by returning Olympians Tom Middleton, Matthew Parish and Nicholas English who has an opportunity to race again with newcomer Iain Edmondson since winning together at Henley Royal for Cambridge University. The defending Champions Oxford boat an impressive all-Olympian stern four with the VBR stalwarts of Tom Solesbury, Robin Bourne-Taylor and Gerritjan Eggenkamp joined by Croatian Ante Kusurin who has made the trip especially from New York to race. We welcome Adam Pearson who has an opportunity to line-up on the Boat Race start for the first time having missed out due to illness once selected for the Oxford Blue Boat. Adam’s son is racing for Oxford in this year’s Boat Race.